We are all trying to save money or looking for ways to make extra money to save. Especially during the summer time when we are scrambling to get ready for vacations and not come back more broke than we were before. If you have kids, you may be saving for school, or maybe even college. 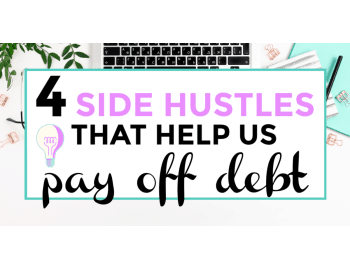 There are tons of ways to make extra money whether than means getting a second job, taking on a side hustle, or looking for ways to make extra money online. I bet if you were to make an extra $100 every day, you would feel pretty good about your finances, am I right? 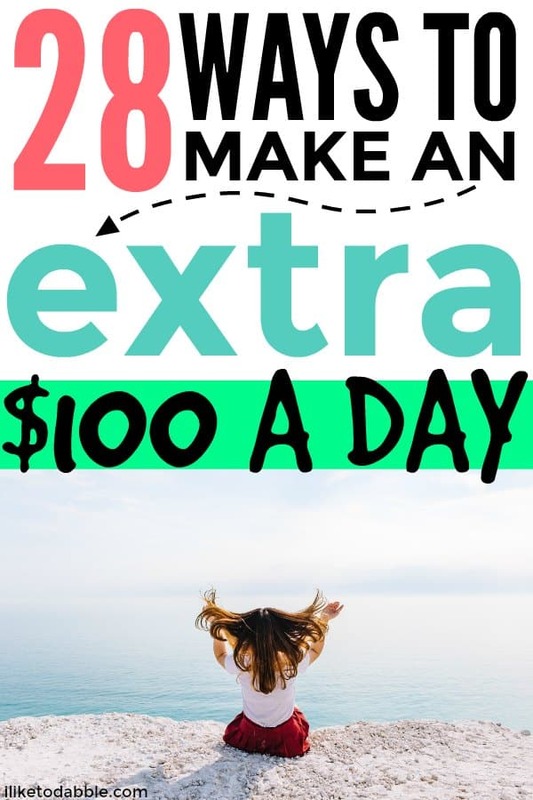 I mean, it isn’t the easiest thing to save or make an extra $100 every day but it is doable. Anything is doable if you think about it. That is an extra $35,600 a year! That is better than alright in my opinion. You would be surprised to find how easy it is just to make $100 a day. Anything is possible, all you have to do is try. 1. Rent our your car on Turo. Turo is this amazing app that is basically the Airbnb of cars. You can rent out your car on Turo and get paid for other people to rent your car instead of them renting cars from services like Enterprise or Hertz. Depending on the market value of your car you can easily make $100 extra a day just for letting other people drive your car. Check out how to list your car for rent on Turo here and if you decide to do so, the process only takes about 10 minutes. Have you ever heard of an app called Getaround? Neither have I until a few days ago. Getaround is an app where you rent out your parked car to others and get paid monthly. Listing your car on the app is 100% free and managing rentals is easy. You can choose how and when to rent your car and the app does the rest along with the smart car technology. Plus they provide $1,000,000 insurance on every trip and 24/7 roadside assistance. Sign up and get started here. 2. Get paid for playing around online! Nielsen is a company that will pay you for your internet usage. All you have to do is download their app and register your devices. It is noninvasive, will not impact your device’s performance and is 100% secure. Then you get rewarded for using the internet like you do any other day! I currently have it installed on all of my devices and even though I don’t earn $100 from it every day, it is nice for a little extra income. Check it out here. Once you install their app, you will automatically be entered into their monthly sweepstakes. Nielsen gives away $10,000 every month to their lucky sweepstakes winners! 3. Get a second job as a waitress or bartender. Out of the ways to make extra money, this one is for the social of heart. Work for a couple hours at night after your day job. If you do not have kids, this will be easier for you to swing. If you do have kids, ask your spouse to help out and watch them while you try to make a couple extra bucks. Bartender and waitressing definitely take a bit more time commitment than some of these other ideas but totally worth it if you want to plan that dream vacation, pay off your student loans or mortgage. Waitresses easily make more than $100 a night and I have known bartenders to make up to $500 a night! 4. Fill out surveys in your spare time. Surveys have become a popular answer by side hustlers for what to do in your spare time to make extra money. Swagbucks and InboxDollars are the popular ones you always hear of. Read our InboxDollars review here and get a $5 bonus just for signing up! Another favorite one of mine is Cashback Research where you can make up to $75 per survey! Survey Rewardz – Only requires a minimum balance of $1 for payout and you get paid $3 for every new user you refer + 15% of their earnings! Pinecone Research – Evaluate products before they hit the shelf! Harris Poll – Take surveys for gift cards. American Consumer Opinion – The average survey length is only 10 minutes. Grab Points – Get free gift cards when you watch TV, answer surveys, complete offers and download apps. VIP Voice – When you join you will automatically be entered into their $1,000 Registration Sweepstakes. Toluna Opinions – Get paid for voicing your opinion and influencing change. Survey Junkie – Share your opinions to help brands deliver better products and services. Qmee – You can also get paid for searching online. Keeping track of your receipts and expenses can pay off, literally. You can either scan your receipts on Ibotta or Checkout51 from your grocery shopping trips, gas station trips, restaurant and bar outings, or your shopping sprees. You can even use Ibotta for a number of online shopping ventures as well. I really only got started with Ibotta a week or so ago and I am obsessed. I already made $40 just for making the purchases I already do, but this time getting cash back for them! Sign up for Ibotta today and get a $10 welcome bonus! What better way to keep track of expenses than with a fun and FREE budget planner!? Writing everything down is the best solution I have found to stay on track and stick to a budget. 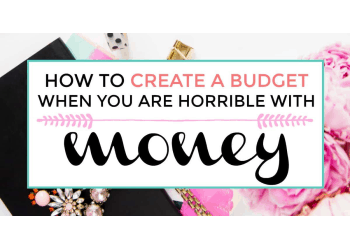 This is why I created a budget planner and tracker printable that can be used to create a budget from scratch with little to no effort! All you have to do it fill it out every month to help you stick to that budget. Keep in mind that everyone has different financial needs depending on their financial situations. There may be some sections and categories in this planner that may or may not apply to you. There may also be some additional sections and categories that apply to your financial situation but are not included in this freebie planner. Become an independent contractor for Next Wave Advocacy, LLC who run grassroots political campaigns on a variety of issues. They pay you to call people who might be interested at any of the issues at hand whether it be healthcare, taxes, or basic human rights. You then help those people communicate their opinions about the issue into letters on their behalf and send them to members of Congress. I love this idea because not only are you getting paid to help others, I think you can make a real difference with simple letters to Congress. Want to get paid just for listening and typing? 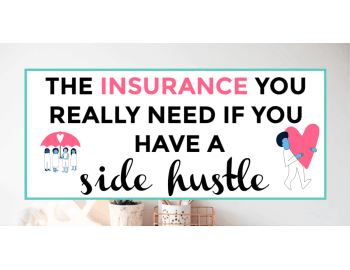 If you are a great note taker and pay good attention to detail, have the time and most importantly the patience, taking on a side hustle as a transcriptionist might be perfect for you. You can make up to $25 an hour as a transcriptionist. Check out TranscribeAnywhere for more information on how to become a transcriptionist! 8. Make extra money just by working out! HealthyWage is where you can take wellness challenges and win up to $10,000 for reaching your goals. You can participate in individual weight loss challenge where you set a specific goal using their calculator, jackpot challenges where you compete as an individual or as a team and if you win you can split the jackpot, or step challenges where if goals are met you can split the pot of earnings. You can host your own challenge maybe with your corporate office for a nice summertime activity to get people motivated, or join a challenge to reach your own weight loss or fitness goals. Many of the world’s largest companies actually use HealthyWage to run their corporate challenges. Featured on the Today show, Good Morning America, CNN, ABC News, NBC News, Fox News, and in The Wall Street Journal & The New York Times. How it works is you can calculate your potential prize here, make your bet by adjusting your goal weight, participate in weekly weigh-ins, get support for the great HealthyWage community of players, and win your hard earned money for reaching your set goals! 9. Utilize cash back applications. If you are looking for some easy ways to make extra money, you have GOT to try out cash back sites and apps. Cash back applications are great for when you tend to more of an online shopper. You can combine them with your already-awesome saving you get with Amazon Prime. Or if you tend to make large purchases online like I do for my blog’s hosting, for example. I get $10 cash back just by paying my web hosting bill with Ebates. When you sign up for Ebates using my link you will get a free $10 bonus! Cash back applications are great for anything really, not just online. There are some that use browser extensions to get you cash back while shopping online, some that require you to scan a receipt, and some that don’t need anything from you besides linking your card or bank info to get you cash back without any further hassle. BeFrugal: BeFrugal is very similar to Ebates and another favorite of mine. TopCashBack: They claim to have some of the highest cash back percentages so before you hit purchase through an Ebates offer, you might want to check if there is a similar or better offer on TopCashBack. Dosh – All the perks of a cash back credit card without having to actually get one! Just link your current cards to the app and get cash back! No receipt scanning, no waiting for the bank to approve your rebate, nothing but instant cash back! Read our full Dosh review here! Paribus: Get money back when prices drop on the things that you already bought online. Paribus tracks your confirmation emails and watches for price changes so you don’t have to. 10. Become a host on Airbnb. If you have the extra space, list rooms to book in Airbnb, You can easily list rooms in good conditions and good locations for $100 a night, especially in places like New Orleans, LA. 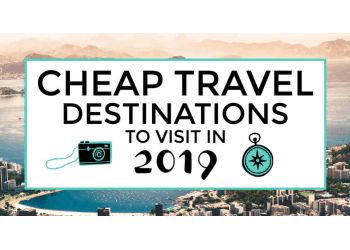 If you have some property in perfect locations like beaches or in high demand tourist areas like San Francisco, you can make up to $3,000 a night! Talk about some amazing passive income! 11. Become a part time Uber driver. You can drive with Uber for a couple hours, whenever you can fit in your day. Since you will already be with your own car, swinging by here and there to pick others up for money isn’t much of a hassle. The app does all the work for you with payments thanks to PayPal so it is pretty ‘plug and play’. Just be weary of drunkards and people that are unreliable when you go to pick them up, use your common sense. The app, however, let you rate your passengers, just as it lets the passengers rate you. After you are rated poorly too many times in a row, You will be banned from Uber. This way, it is less likely that the app becomes unsafe for anyone. 12. Take some things to the thrift store. In St. Louis, we have thrift stores like Avalon Exchange and Plato’s Closet. But did you know there are online thrift stores that you can utilize. Your stuff will have the same money making potential, if not more, and you never have to leave the house! 13. Sell your old stuff on eBay or Amazon. Ebay and Amazon have become a popular choice for reselling items online. It has become the ‘norm’ if you will. My wife sells guitars on Ebay and makes $200 or more on each guitar. She sells about 2-4 a month, some months even more, which averages out to be an extra $1,000 a month (Update 11/9/2018: She now makes $2,000 extra a month from flipping guitars on Ebay and Reverb)! 14. Make money off of strange dollars and coins. You can make extra money from your old coins and dollar bills. If your coins are antiques and before a certain year, they are worth more. Dollar bills all have serial numbers and then there are some with some really strange ones. These dollar bills with strange serial numbers are extremely rare and are hard to come by. Get out your old dollar bills, or new ones too, and check them against CoolSerialNumbers.com. Their list of their most wanted serial numbers will tell you if you have one of these bills and you can sell them for a pretty penny. 15. Sell your old electronics. Amazon Trade-in are great for getting rid of old cell phones. There are other apps and sites that can help you get rid of the rest of your old electronics though. You will get the most money for your old electronics from sites such as Decluttr and Gazelle. 16. Flip domains or entire websites and blogs. Flipping sites, or attempting to, is something I have recently gotten into. I use to buy domains and put them up for auction on GoDaddy auctions. I recently came across a site called Flippa that lets you list the domain listing for free and you can keep it there as long as you want without charge. You can put your domain or site up for auction and with a buy now price. 17. Teach online for extra money. As most online teaching jobs require you to already have a bachelor’s degree, Magic Ears does not. 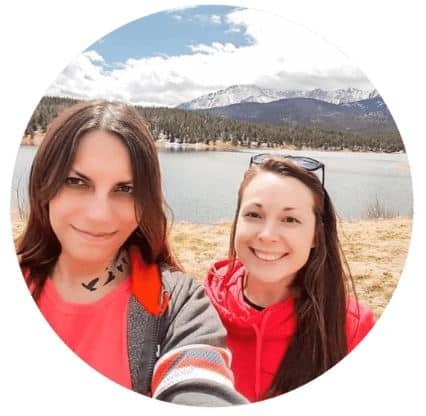 You can teach online with Magic Ears and work from anywhere you want since it is through their online teaching portal and be your own boss, no degree required. (Updated 12/8/2018: They now require a bachelors degree or above) If you are in school to become a teacher, this is perfect experience for you on top of the $26 per hour you will be making for your time. Making less as a tutor already? Ditch that and sign up for Magic Ears! If you have a bachelor’s degree and some teaching experience, it might be worth checking out VIP KID for a pretty sweet side hustle. You would be teaching English online and getting paid up to $22 per hour. An added bonus is there are no lesson plans or grading to stress over. You get to work from home or anywhere and pick your own hours. Check it out here to see if you qualify! 18. Be a virtual assistant. There are many sites out there that you can register for and make extra money fast. 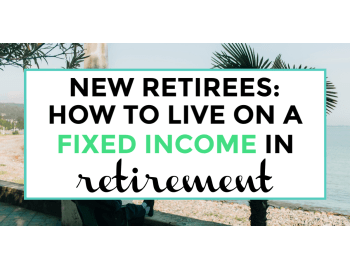 The reason this option is favorable is that it is one of the easiest (if it is right for you of course) since you can do it from the comfort of your own home. After your day job, just post up your feet with your laptop and work your heart out. This is perfect if you don’t want to go out to a second job after a long day! There is a new app I recently found out about while watching Chelsea on Netflix and I immediately fell in love! If you love dogs, then you will love this new app. Rover has made having a dog 100 times easier by connecting dog owners with dog lovers in their community. You can hire on-demand for a variety of services for your pet such as dog walking, dog sitting, or dog boarding 7 days a week! If you love dogs, take a stab at this sweet gig that pays you for hanging out with some of your favorite furry friends. 20. Take care of extra tasks for others. TaskRabbit offers same-day help with chores and errands. You can sign up for TaskRabbit either as a ‘tasker’ or a ‘taskee’. As a tasker, you fulfill taskee’s requests. As a taskee you ask for taskers. The tasker arrives, completes the job and bills directly in the app to the person who hired them through the app. Which means the people using TaskRabbit either need something done or need to do something..making it a win-win for everyone involved. This is a great way to spend extra hours in the day with completing simple tasks for others in your local neighborhood like assembling furniture or doing handy work like plumbing and get paid pretty nicely for it. The average hourly rate for assembling furniture is about $26/hour on TaskRabbit. Sign up today and get $20 off a task you need done or $20 when you complete your first task. 21. Look for a work from home part-time job. If you can’t stand it when you see the usage of “your” in an online comment, when it should indeed be “you’re”, then an online proofreader could make a suitable side hustle idea. If you have no clue how to go about starting an online proofreading side hustle, I urge you to check out the Proofread Anywhere course. This course teaches you the skills you need to start your freelance proofreading side hustle. If this is something you don’t think you can do because of any excuse you can come up with, this course also teaches you the confidence and motivation to make it work! You can use financial investment applications like Stash or Acorns for some big returns that could lead to hundreds a month down the line. Stash is one of my favorites as it takes a recurring small amount like $5 weekly (you can choose how often you want this recurring investment amount to apply) and invests it in what I choose. I have multiple portfolios in my account that have recurring investments every week. Sign up with this link and get $5 just for doing so! Acorns is an investment app that automatically saves up your spare change and invests it for you. Every purchase you make can become an investment with Round-Ups. When your portfolio moves with the market, they will rebalance it for you to stay on track. Sign up for Acorns and get a $5 bonus to start out with! 24. Make some of your money back from bills. Did you know there are apps out there that will negotiate your current bills and can literally save you hundreds to thousands of dollars of year? We used Trim to negotiate or AT&T bill and got over $200 in savings! Empower is another app that can help you negotiate lower monthly bill payments but I have yet to try this one out. You can easily start earning some extra cash by starting a blog. However, it may take some time to steadily make $100 a day. Blogging is not a way to get rich quick but it can help with your current financial situation. You just have to be willing to put in the work to see results, like anything else in life. Don’t knock it until you try it. If you have not yet started a blog and want to, or are having trouble with where to start, check out How To Create A Self Hosted WordPress Blog. If you sign up for Bluehost with my link you get a free domain, free site builders, free 1-click WordPress install, 24/7 support and all for only $2.95 a month! You really can’t beat that deal. You really can make money blogging. I am not joking! Starting a blog has been a great way for me to make extra money online without ever leaving the comfort of my home. That is something I thought I would never say. 26. Become an influencer and write sponsored blog or social media posts. Many users are Instagram are banking off of the concept of being an influencer. Being an influencer means that companies pay you to promote their products on social media or your blog through pictures, videos, posts, etc. To get started influencing, visit Izea or Linqia. Check out this amazing post on the top 28 sites that pay you to blog! 27. Create your own product to sell. If you already have a blog or have plans to start a blog, create a product to sell such as stock photos or courses. If you do not have a blog to write your own online course. You can also write an ebook to sell on Amazon. If you have an eye for detail and want to create your own business and brand of products to sell, try Shopify. Are you maybe extremely creative and love to get crafty? Then you can create your own original crafted products and sell them on Etsy! Place ads on your blog or website. Or create a YouTube channel and once you reach a certain number of views and subscribers, you can start making money off of YouTube ads. You can even place ads on your Facebook, Twitter, Instagram and Pinterest through sponsored posting or sharing referral links through posts. Have you heard of how you can advertise on your car? You get paid to just drive around with some stickers on your car! Check out programs like Wrapify or Carvertise to advertise on your car and make a passive income of an average amount up to $450/month! 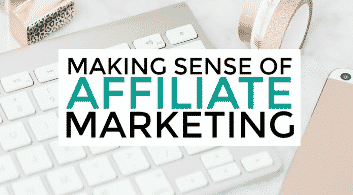 If you have a blog, check out affiliate marketing networks to sign up for and get started using affiliate links. Affiliate marketing is a great way to earn passive income if you use it correctly. This blogger makes $100,000+ monthly from her blogging business and a large part of that income comes from affiliate marketing. Michelle’s experience is unmatched in the blogging world, at least I think so, and thus her course content is unique. Making Sense Of Affiliate Marketing was 100% worth it and has already doubled my affiliate marketing earnings within only 2 weeks. What other ways do you make extra money? What do you use that money for? I would love to hear more from you! Amazing tips for earn extra money. Ebates is great! Especially for holiday shopping. You end up saving a lot more than you think when you get cash back on all your purchases! I had no clue that virtual assistant was a job! That’s kinda neat! 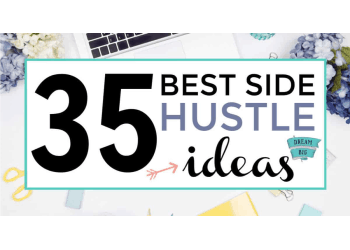 Great options for side hustles. What an extensive list! There’s just so much choice. I love that you have personally done some of these. Well done you. Thanks for stopping by Joleisa. Hope this list was helpful to you in some way! Great post and very thorough. I actually just learned about Flipping websites, What? LOL! I knew you could flip properties, but….. Thanks for this very thorough and detailed list. 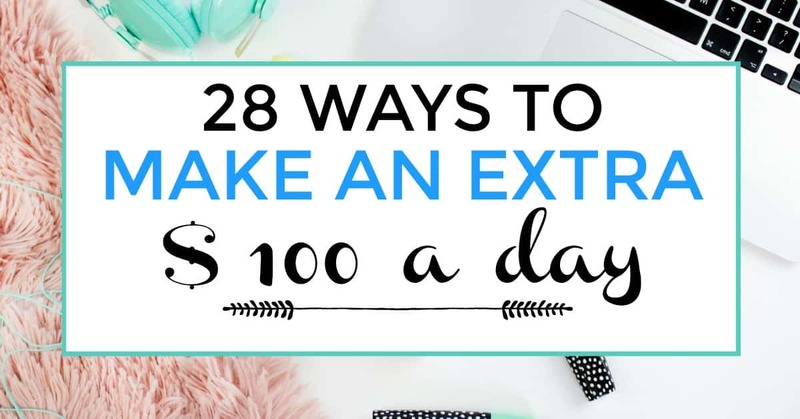 Lots of creative ways to make extra money, and who couldn’t use a little of that. Website flipping is something I definitely want to try. I have sold domains before but never whole sites.